URGENT >> BULLETIN >> MOVING: (14th update 3:19 p.m. ET U.S.A.) The U.S. Securities and Exchange Commission has gone to federal court in Massachusetts, alleging the “Wings Network” MLM “program” is a Ponzi and pyramid scheme that gathered at least $23.5 million. “However, Wings Network’s revenues actually came solely from selling memberships to investors, not from the sale of any products,” the SEC said. Company operators and at least 12 promoters have been charged, the SEC said. A federal judge has ordered an asset freeze. Some of the SEC employees involved in the prosecution of the Wings Network action also are involved in the TelexFree Ponzi- and pyramid case filed last year in Massachusetts federal court. Charged Wings Network entities include Tropikgadget Unipessoal LDA and Tropikgadget FZE. The LDA entity was incorporated in the Madeira Free Trade Zone in November 2013 with its principal place of business in Lisbon, Portugal, the SEC said. “It withdrew its license from the Madeira Free Trade Zone in April 2014,” the SEC said. Charged executives and/or operators include Sergio Henrique Tanaka, 40, of Sao Paulo, Brazil, and Davie, Fla.; Carlos Luis da Silveira Barbosa of Lisbon, Portugal; and Claudio de Oliveira Pereira Campos, also of Lisbon. No ages were given for Barbosa and Campos. Meanwhile, the charged promoters include Yinicius Romulo Aguiar, 42, of Marlborough, Mass. ; Thais Aguiar, 34, the wife of Yinicius and also of Marlborough; Andrew Elliot Arrambide, 47, of Sandy, Utah; Julio G. Cruz, 34, of Duluth, Ga.; Wesley Brandao Rodrigues, 28, of Marlborough; Dennis Arthur Somaio, 35, of Marlborough; Elaine Amaral Somaio, 35, of Marlborough; Pablo Andres Garcia, 38, of Waco, Texas; Viviane Amaral Rodrigues, 37, of Clinton, Mass. ; Simonia De Cassia Silva, 43, who sometimes operated from Massachusetts and Florida; Geovani Nascimento Bento, 41, of Marlborough; and Priscila Bento, 36, of Marlborough. Named relief defendants as the alleged recipients of ill-gotten gains from the scam were Uninvest Financial Services Corp. of Deerfield Beach, Fla.; Compasswinner LDA of Setubal, Portugal; and Happy SGPS SA of Santa Cruz, Madeira, Portugal. The scheme raised at least $23.5 million and targeted “many members of the Brazilian and Dominican immigrant communities in Massachusetts,” the SEC said. Massachusetts Commonwealth Secretary William Galvin, head of the Massachusetts Securities Division, charged Wings Network and some individuals last year. Both Galvin and the SEC have squared off against TelexFree, a massive scheme targeting immigrant communities. In a statment today, the SEC thanked MSD and Comissão do Mercado de Valores Mobiliários of Portugal and the Procuradoria-Geral da República of Portugal. Campos, Viviane Rodrigues, Vinicius Aguiar, and other promoters represented to prospective investors that their initial investments in the Member Packs would be 100% guaranteed through insurance issued by Porto Seguro, the fourth-largest insurance company in Brazil. In making these claims, Campos, Viviane Rodrigues and Vinicius Aguiar pointed to the existence of Porto Seguro S.A. insurance associated with the Wings Card, a debit card issued to Wings Network members for payment processing. 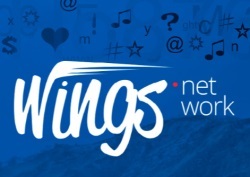 In a You Tube video that solicited investors to purchase Wings Network memberships, Campos guaranteed that everything purchased by the investors would be insured for a year by Porto Seguro. In their presentations to investors, Rodrigues and Aguiar emphasized that the investments were guaranteed while juxtaposing the Porto Seguro logo. Viviane Rodrigues and Vinicius Aguiar also included a slide purportedly of a Porto Seguro insurance policy. Read the SEC statement on Wings Network and the complaint. On Feb. 12, the SEC charged a “program” known as the “Achieve Community” with operating a combined pyramid- and Ponzi scheme. Some Achieve promoters appear now to be promoting MooreFund.